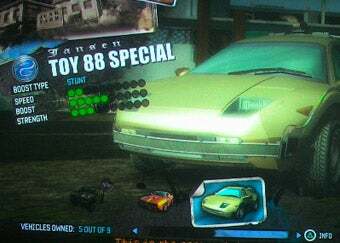 Fans of Burnout Paradise's Legendary cars might want to give the recently released Big Surf Island a closer look, as toy versions of all four movie-inspired vehicles are unlockable in the new DLC. Tiny versions of the cars based on Ghostbusters, Back to the Future, The Dukes of Hazzard, and Knight Rider are unlocked by completing various tasks in the new Big Surf Island content. It's all stuff Burnout junkies would be doing anyway. You're going to want to hit all 15 Mega Jumps, 45 Billboards, 75 Smashes, and complete all 24 Road Rules, so you might as well be rewarded, right? Hit up the link below to see exactly which feat nets you which car.